Here’s a notice for auditions for Celery Soup, Sanford’s community-wide production of oral histories from city residents, which will be presented in October and November. Thursday, August 12 – Reading of Script to the Community EVERYONE INVITED! Creative Sanford, Inc. the non-profit organization developing the community performance, Celery Soup proudly announces the reading of the script written from the stories of Sanford residents. 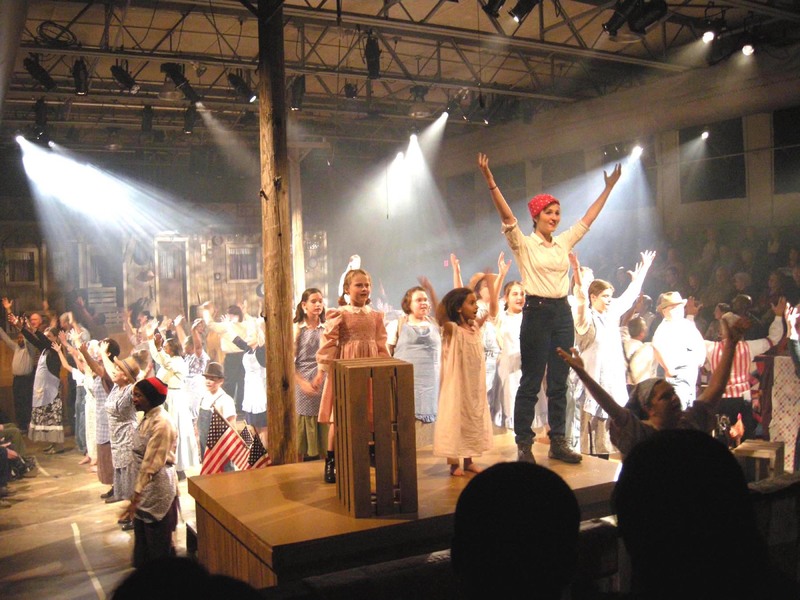 The script was written by Jules Corriere, a playwright and director with Community Performance, International. One of her Swamp Gravy productions from Colquitt, Ga. premiered at the Kennedy Center for the Performing Arts. Her play The Whole World Gets Well received Chicago Reader’s Critic’s Choice Awards, won the Presidential Points of Light Award, and toured London and Edinburgh. She and Director Richard Owen Geer partner with communities all over the world to collect stories and shape a large performance. Celery Soup will be performed by 60-80 volunteers from Sanford and Seminole County. “No one who auditions gets turned away, stresses Corriere. “We have various parts that range from beginners to skilled actors. This is a performance of, for and by the people of Sanford and Seminole County. Please note: We are now aware the reading of the script is scheduled at the same day and time as the Political Hob Nob and Alive After Five. To accommodate those that cannot attend the Community Reading, Ms Corriere has agreed to give a 30 minute summary of the script before each audition on Friday 8/13 and Saturday 8/14. Please see schedule above. Photos: Set designer’s rendering of the stage by Joe Varga. Community performance photo by Jenny Cole. 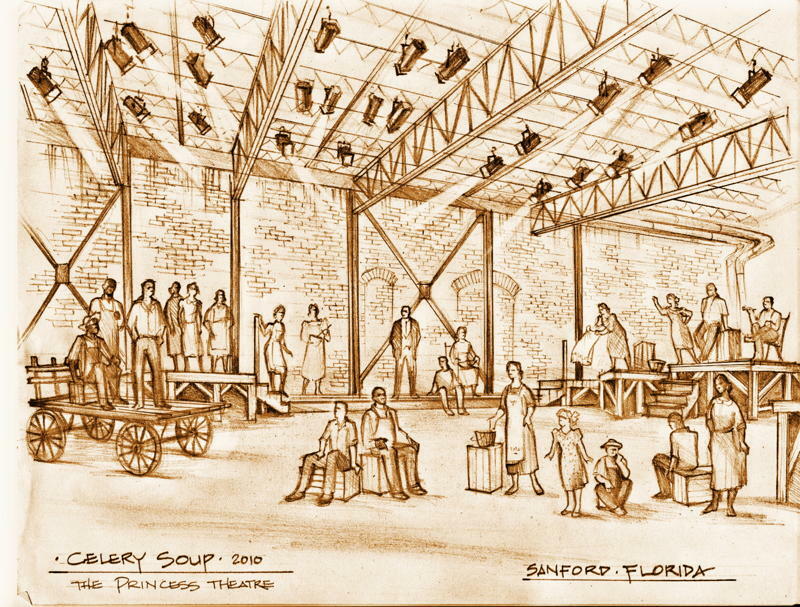 Creative Sanford, Inc. is interviewing for the stage manager position for their upcoming community production Celery Soup. The position would be needed for August 2010 rehearsals and the performance following in October and again in spring 2011.